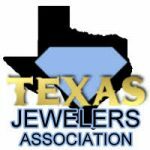 Looking to see who will buy gold in Houston for the most money? Houston Gold Buyers is Houston’s #1 gold buyer in Houston. We are conveniently located in the heart of Houston, just minutes from the Galleria, near Montrose Blvd. We buy gold in Houston everyday. We buy any type of gold items. We buy broken gold, gold jewelry, gold coins, gold bars, if it is gold we buy it. We have been serving the Houston and surrounding areas since 1993. No large parking garages or lots to have to walk through, just pull right up to our front door and walk right in. If you have a larger collection you don’t want to travel with that’s not a problem. We will come to you home or bank and give you a 100% free appraisal on your coin, jewelry or luxury watch collection and buy your gold right there. We pay top dollar when buying your your gold, silver, platinum, fine watches, and coin collection. We have an extensive network of collectors, retailers and individuals always looking for all types of gold items. So before you sell your items to a company that will just melt them down, bring your items to us and let us wee if we can place it with someone who will enjoy them as much as you have. We offer free appraisals of your items and there is no obligation for you to sell to us. We encourage you to shop around so you feel confident that you are getting the best price for your goods. We will meet or beat any legitimate offer when we buy your gold. The owner is a G.I.A. diamond specialist and is always looking for large or fancy color G.I.A. graded diamonds. We also purchase sterling silver flatware sets, colored gemstone jewelry, rare coins and much much more. 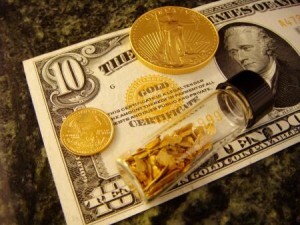 Gold coins have always been a great investment and we love to buy gold coins. Gold is the basis for all currency in the world. Gold coin are a great way to improve your fiscal portfolio. We buy and sell Gold American Eagles, Gold Canadian Maple Leafs, South African Krugerrands, Gold Centenarios, as well any gold or silver bullion. With gold being at an all time high, this is a great time to liquidate your gold and turn it into cold hard cash. Come into our showroom today with your broken gold, old unwanted gold jewelry, gold coins, gold bullion, diamond jewelry, silver jewelry, sterling silver flatware and of course you rare coin collection or luxury watch collections. 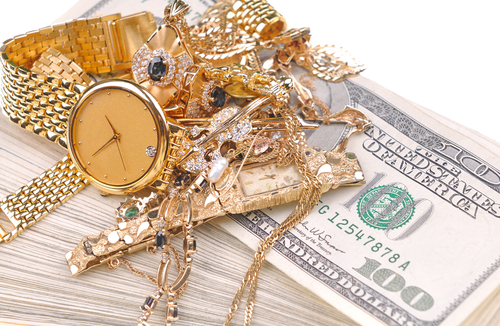 At Houston Gold Buyers you can feel confident you are dealing with true professionals. Our sales professionals have over 30 years in the industry and have build relationships with the top gold firms across the country. We also travel the country to various shows to find the most unique and rare items for you to add to your collection. Stop in today to see why Houston Gold Buyers is the best in Houston. Houston Gold Buyers has been buying gold in Houston for nearly 30 years. You can trust, when we buy your gold, you will be paid top dollar for your gold items. We haven’t been around for nearly 30 years by low balling people. We have many repeat customers who have been extremely happy when we buy their gold. Just look at our google reviews. We don’t want you to take our word for it. Read the reviews from our customers. Our reputation is everything to us. We have spent years building our customer base and building our reputation. The last thing we want to do is ruin our reputation for paying low on your gold items.